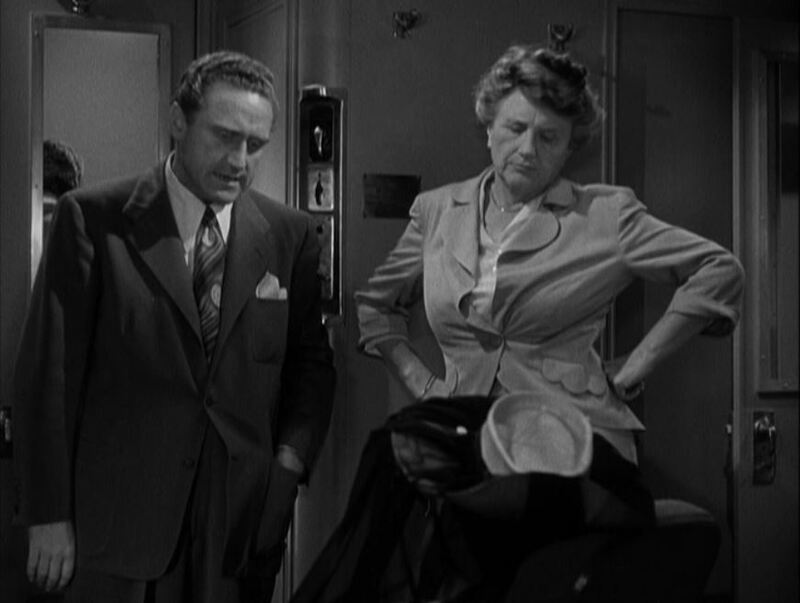 It was intended to be the first movie of a comedic series starring James Whitmore (John J. Malone) and Marjorie Main (Hattie O’Malley). 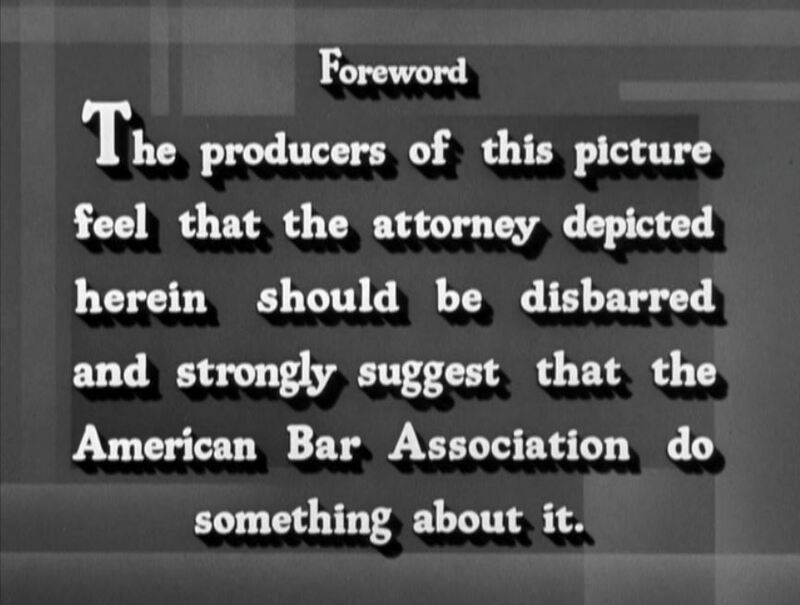 MGM even whomped up a nice little musical ditty played in the opening credits. Alas, it was not to be. 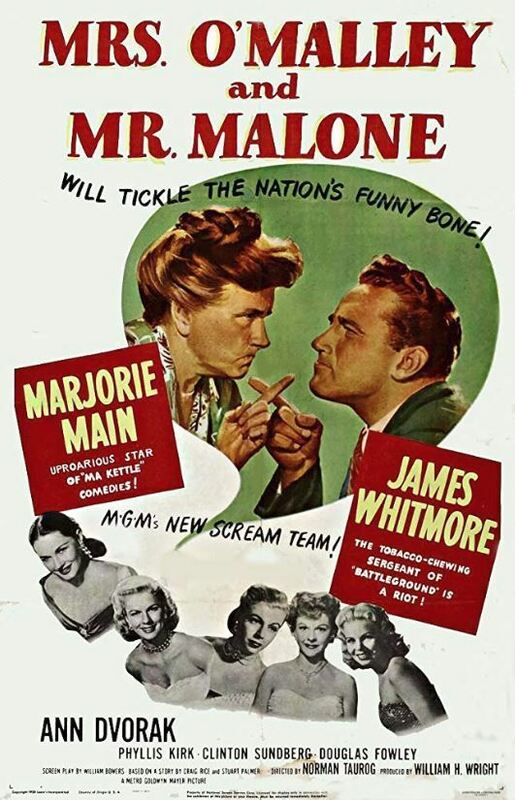 Malone is a perpetually-broke, skirt-chasing lawyer who inadvertently teams up with radio contest-winning Montanan, Hattie, who has read far too many murder and detective magazines for her own good. 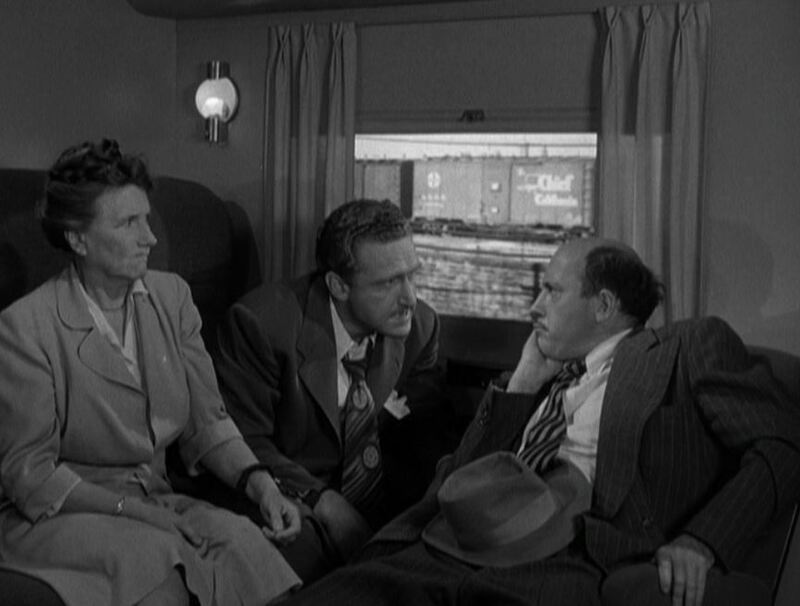 Despite taking place entirely on board a Chicago to New York train, railroad images are far and few between. 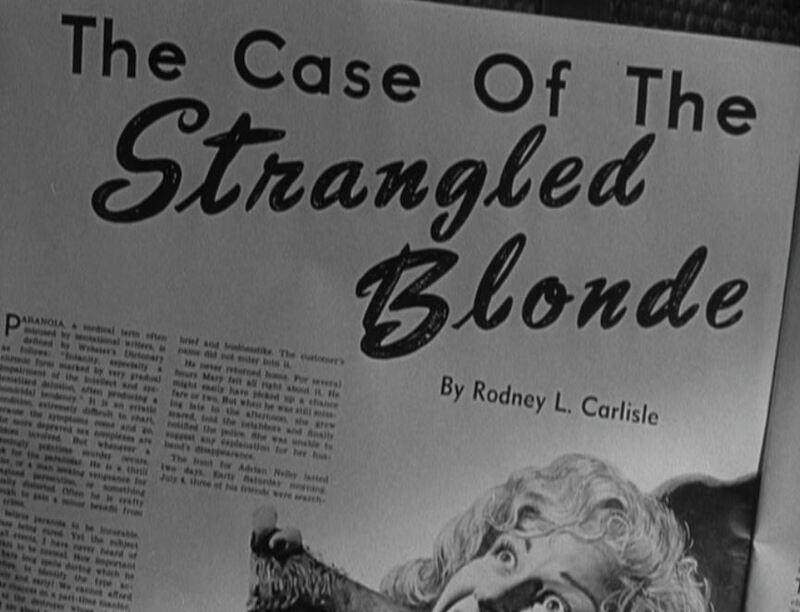 It’s a comedy/double murder mystery for these two sleuths (one professional, one amateur). Let’s give it a whirl and see what happens! 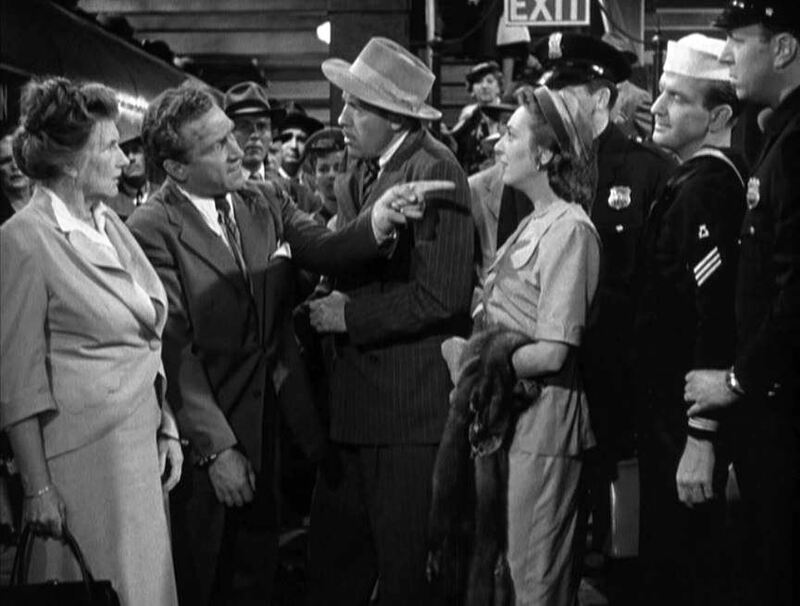 The movie starts right off with a tongue-in-cheek poke at Malone, followed up with a similar broadside at the conclusion of the film. 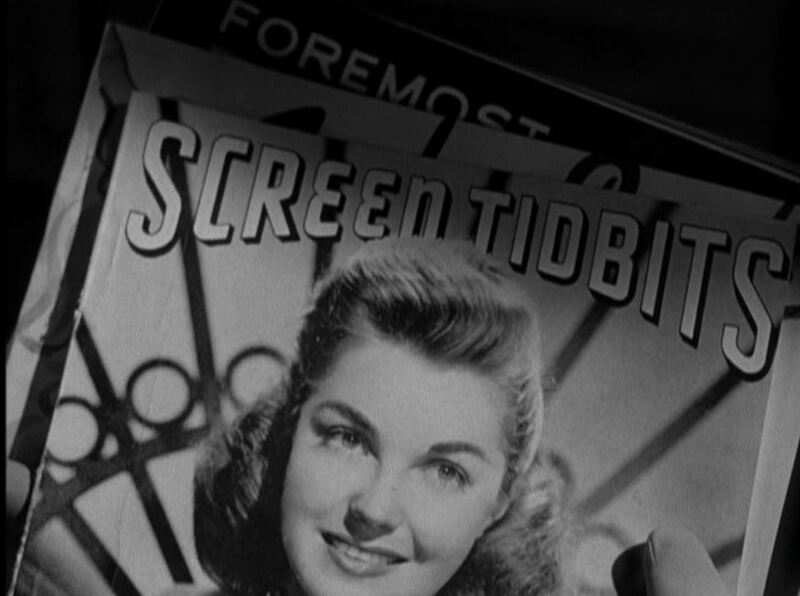 Rather trite, even by 1950’s standards, it sets the tone for the picture which explains why there was not a second one forthcoming…. 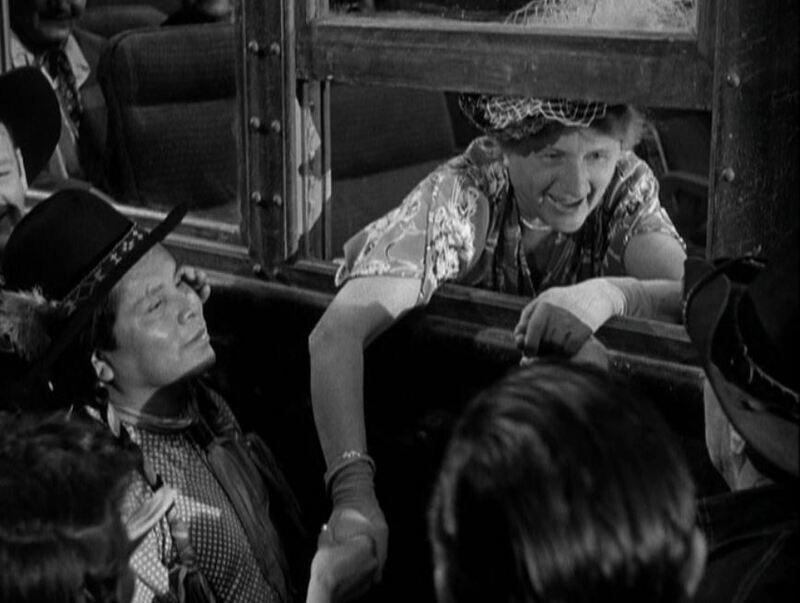 Having won the contest and seated inside a standard heavyweight coach, Hattie shakes the hands of her well-wishers and heads east from Montana reading yet another Detective scandal sheet. 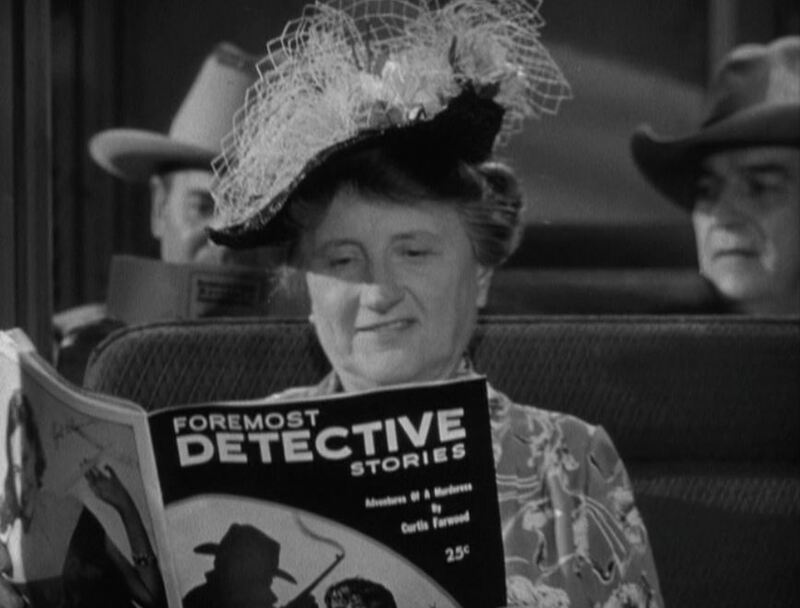 Switching from the fashion magazines she was given, to the True Detective pulp she prefers, Hattie reads up on the latest sordid crime details. 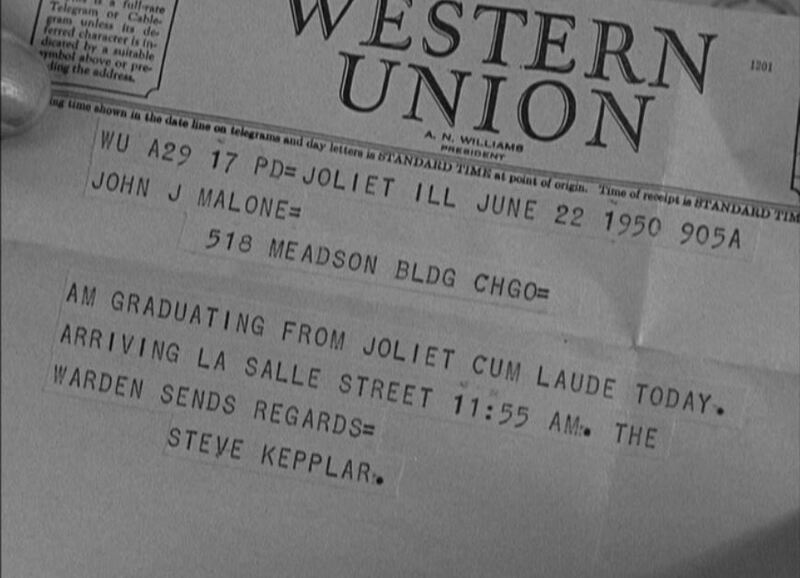 Upon his release from the hoosegow, embezzler Steve Kepplar wires Malone that he’ll be arriving in LaSalle Street station, Chicago. 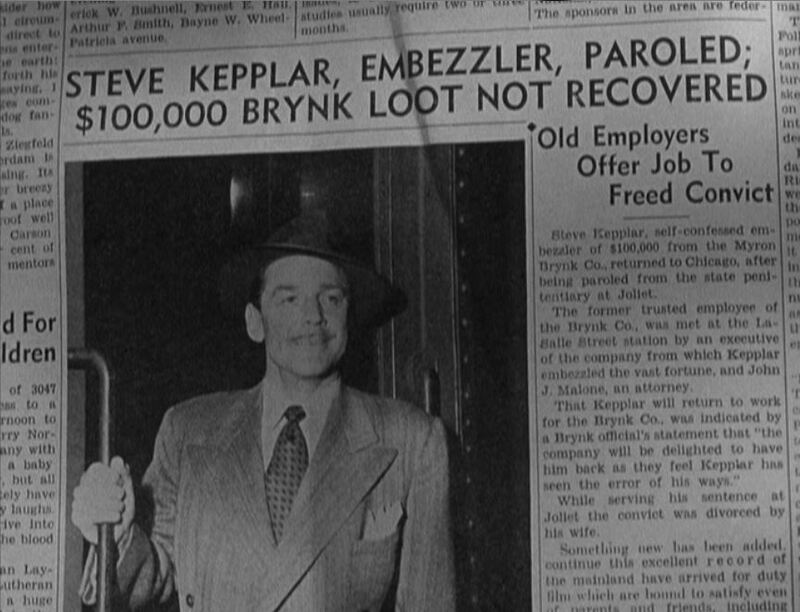 The press, Malone and Kepplar’s ex- are on hand as they all want a piece of the stolen (and still missing) money. You can just make out a heavyweight coach behind them. 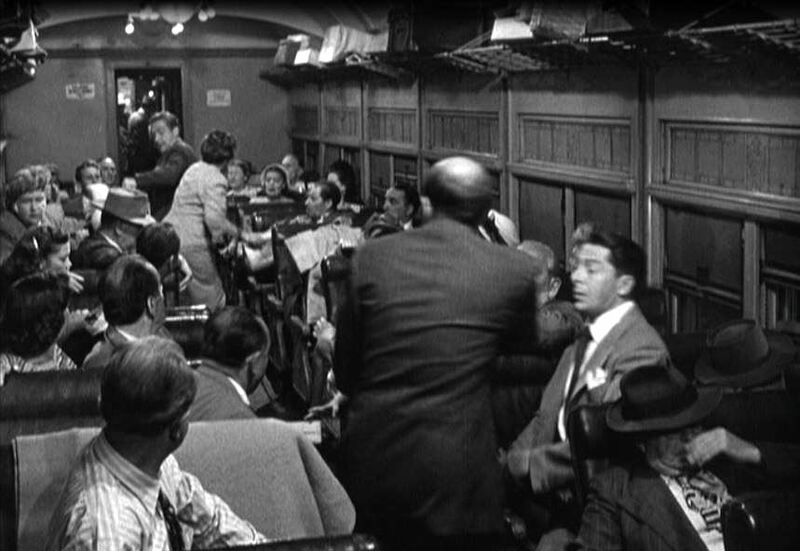 The next evening, the entire ensemble are boarding “The Flyer” for New York. 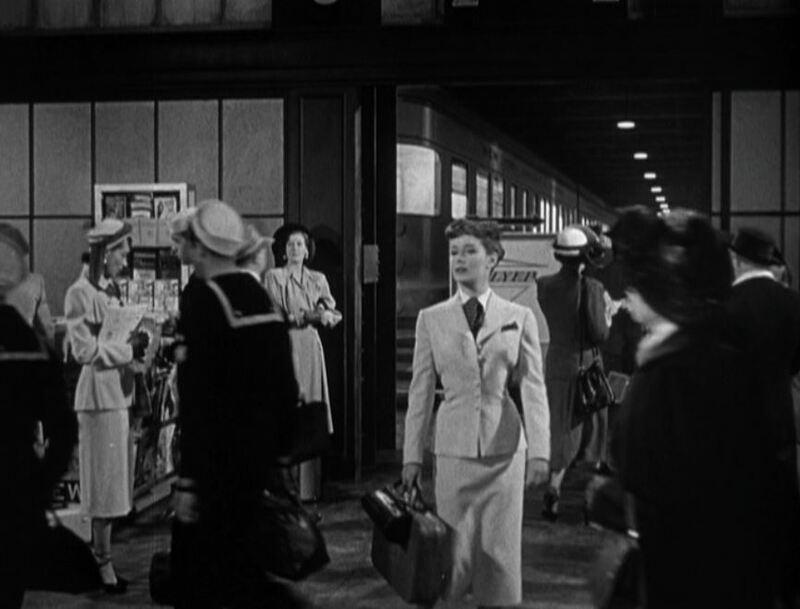 It’s obviously a set (it’s a B-picture, after all), but the studio managed to make up a simple boarding sign and drumhead for the smooth-sided streamliner. 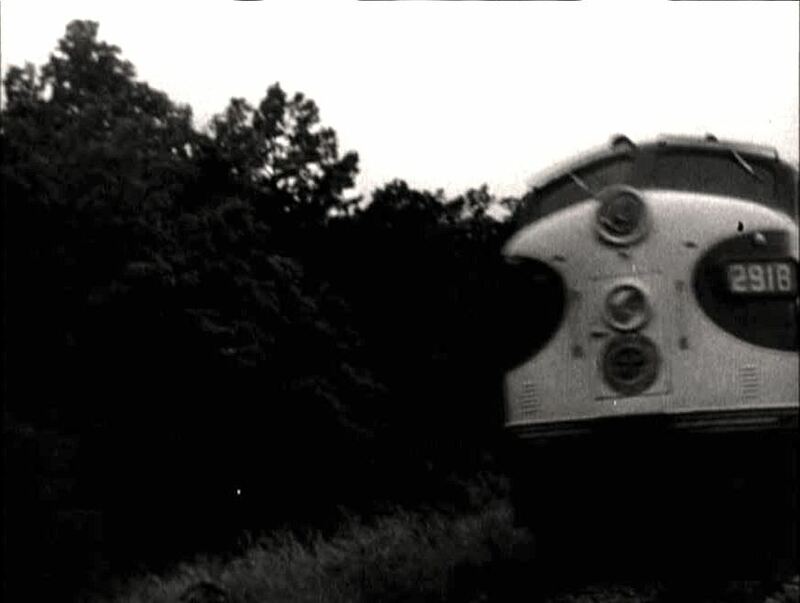 As Hattie and Malone board, note the train now has corrugated, stainless steel sides. 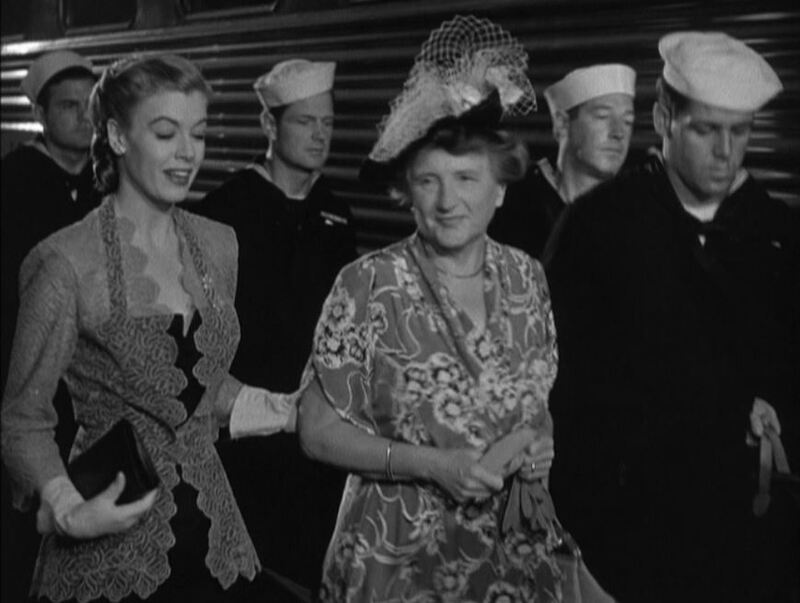 Yes, that’s a very young Dorothy Malone talking to the porter and Marjorie Main. 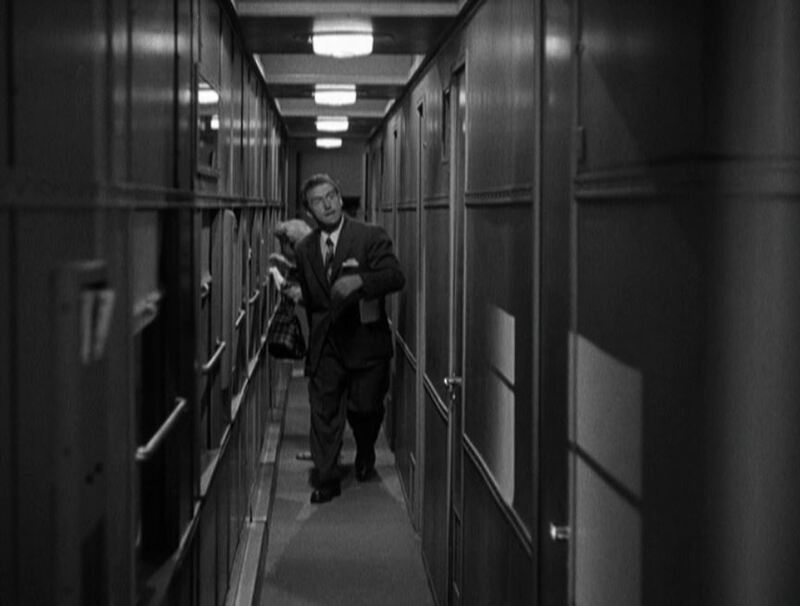 Standard corridor shot on a sleeper (bedrooms to the right); Kepplar made the evening’s paper, so it’s a cinch he’s gonna be followed. 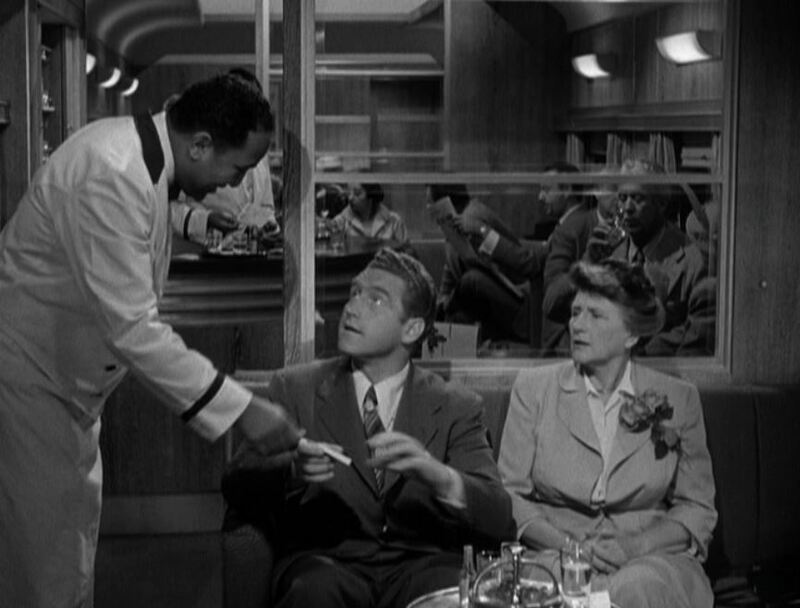 Nice little lounge car scene (I like the curved bar!) 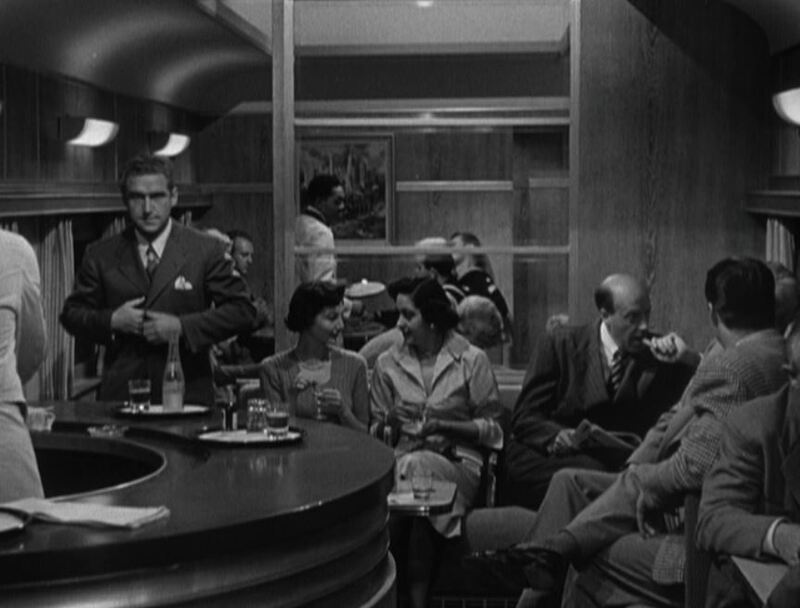 as Malone and Hattie have a drink. Message for you, sir! 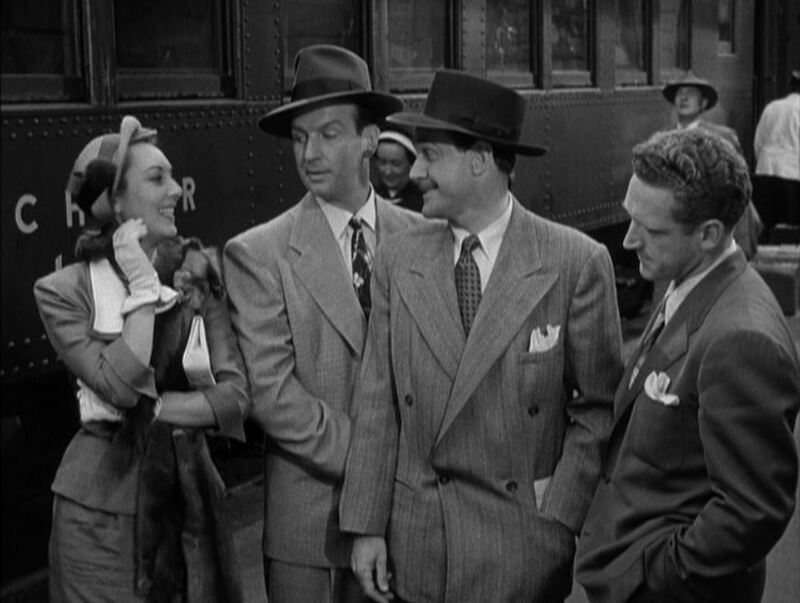 Sure enough, Kepplar gets bumped off with his body dumped in Hattie’s sleeper. 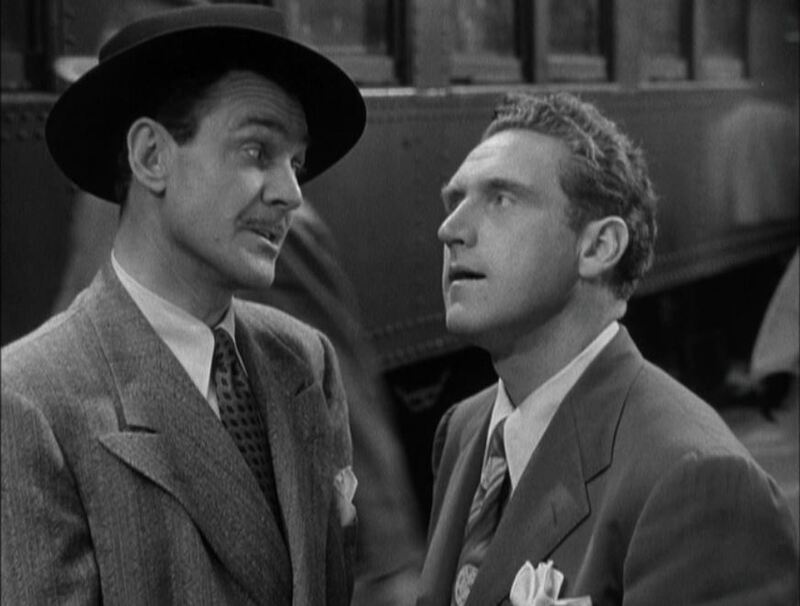 This leads to a series of misadventures as Malone and Hattie move the body to a less-incriminating location. Time passes and once again the body is back in Hattie’s bedroom. 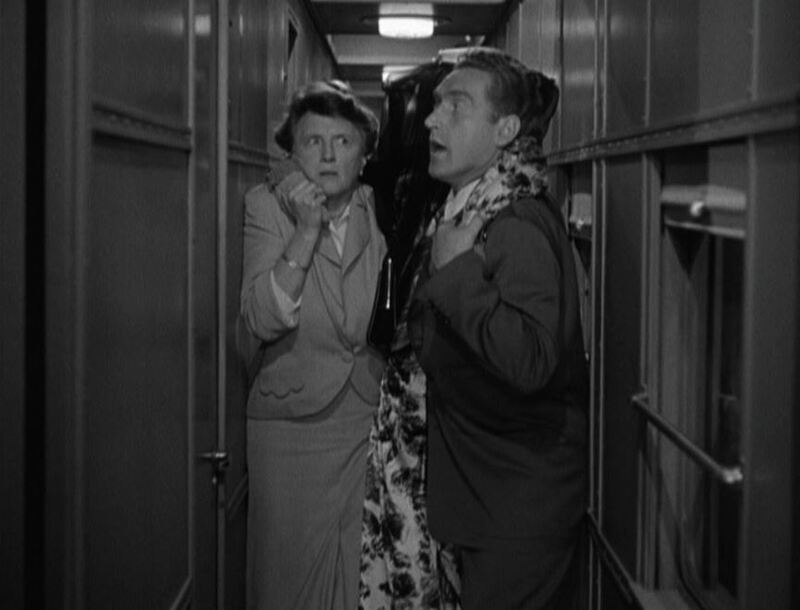 This time the dynamic duo move the body…into the Ladies Room at the end of the car. Good views of bedroom interior (note the pull-down sink) and woman’s bathroom. 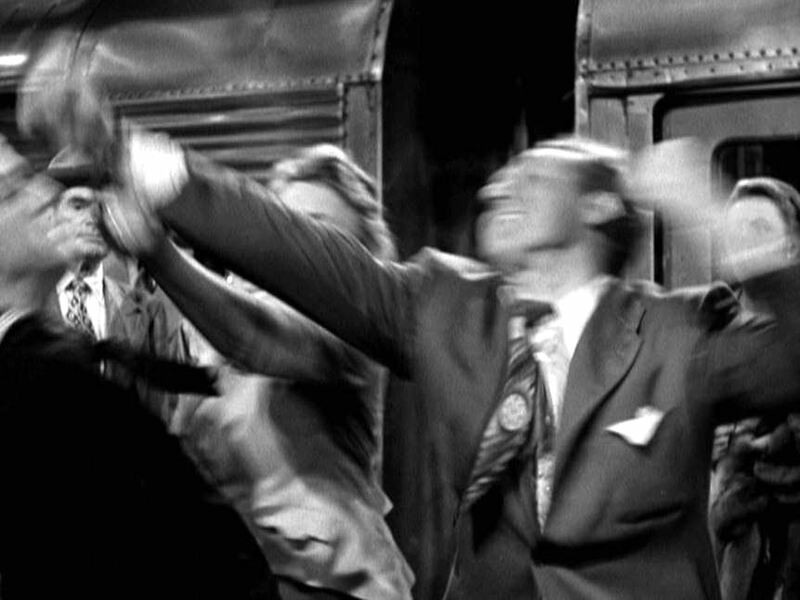 The first of two “runbys” as the train hurtles through the night. Surprise! 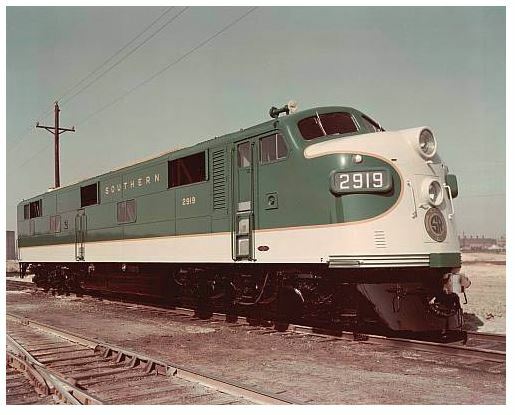 It is Southern Railway #2918 an EMD E6A. Sister engine #2919 poses for a builder’s photo. Aiieee! 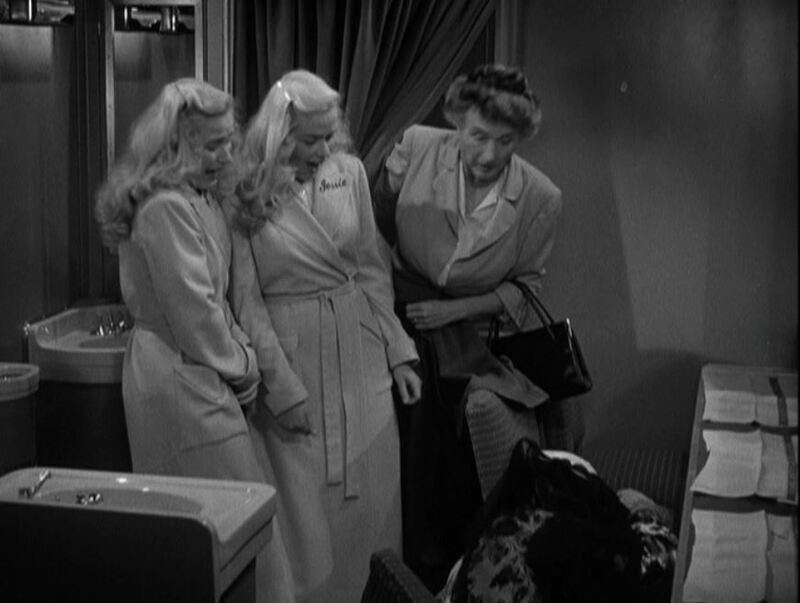 The body has been discovered by the blonde twins, Bessie and Jessie (as indicated by their monogrammed bathrobes). 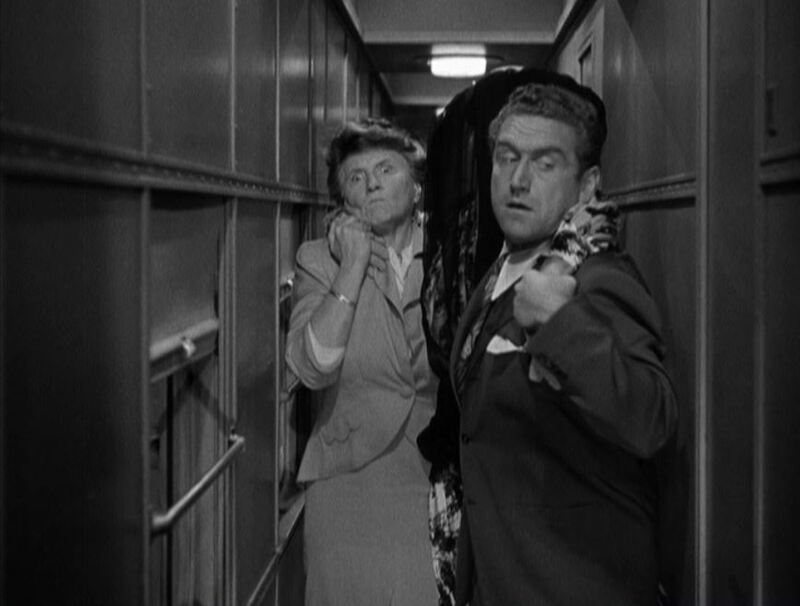 You guessed it, Hattie and Malone are moving the corpse again (this gag is becoming tiresome). 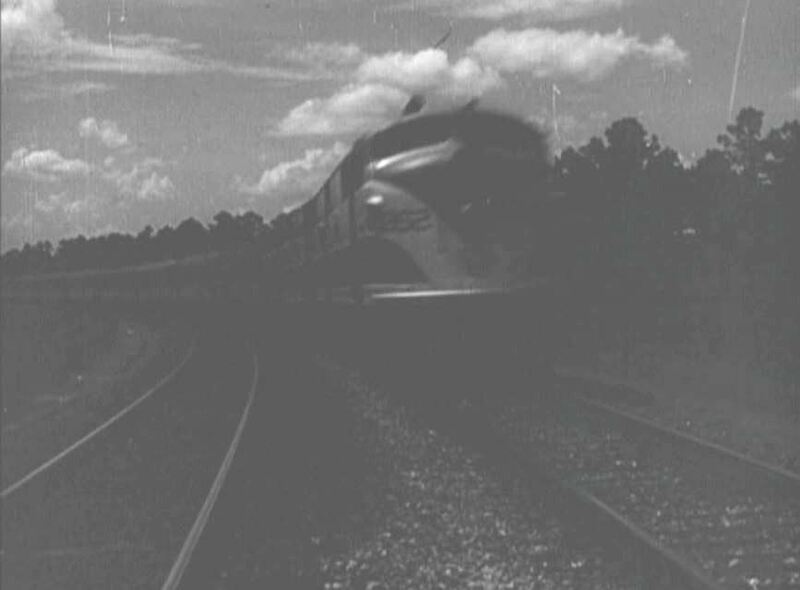 The second runby is (looks like they changed railroads) an Atlantic Coast Line E unit (number unreadable). 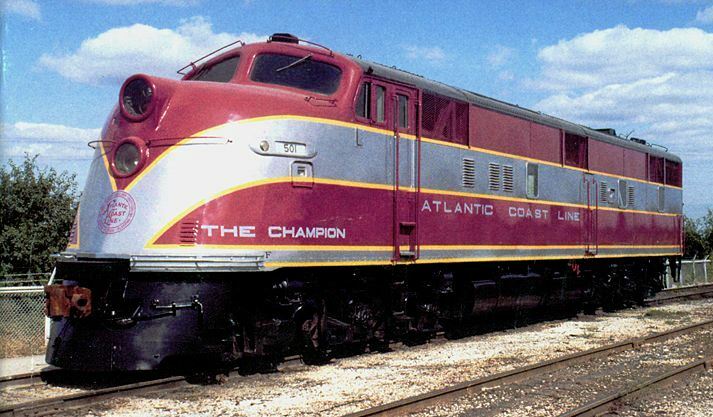 The ACL had PURPLE passenger locomotives with one unit preserved (ACL #501, an EMC E3, at the North Carolina Transportation Museum). 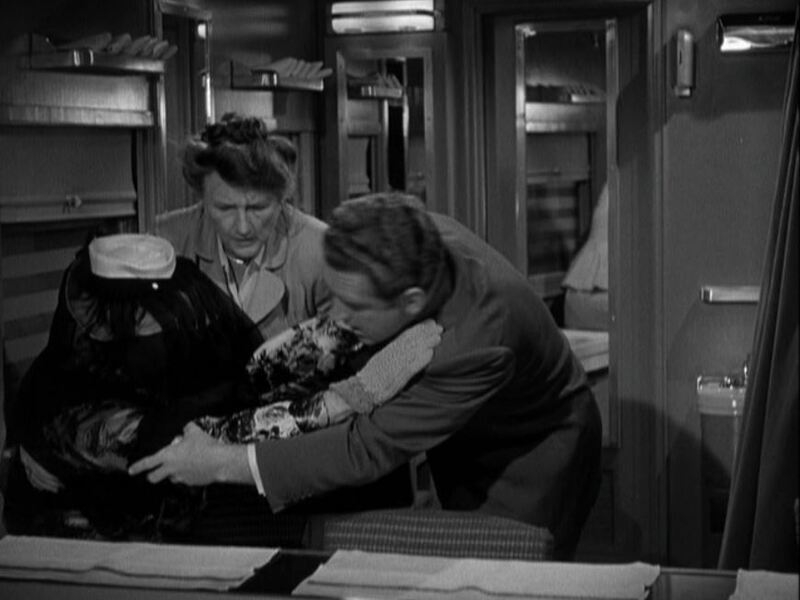 Handcuffed together as the train pulls into New York, Hattie and Malone are held captive in a sleeper. 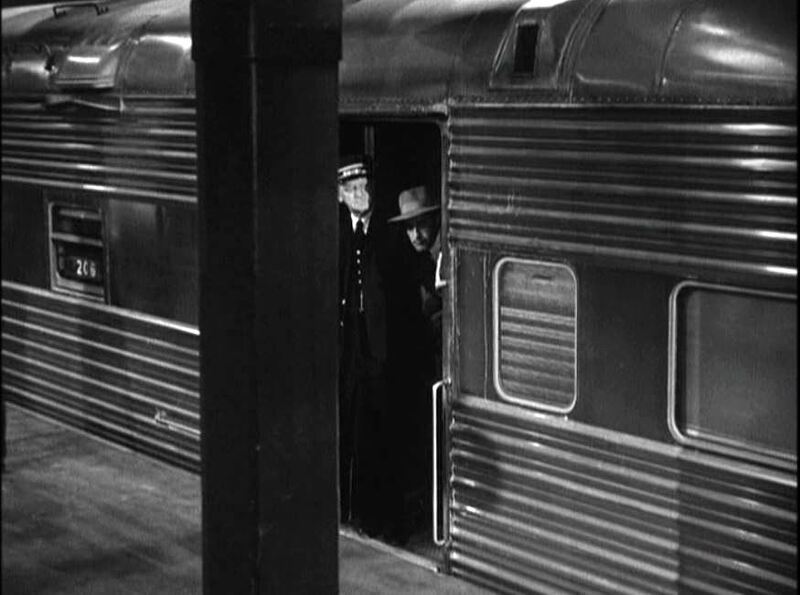 Outside the window, a view of an old-style, outside-braced boxcar as well as a Santa Fe “Chief to California” billboard boxcar. 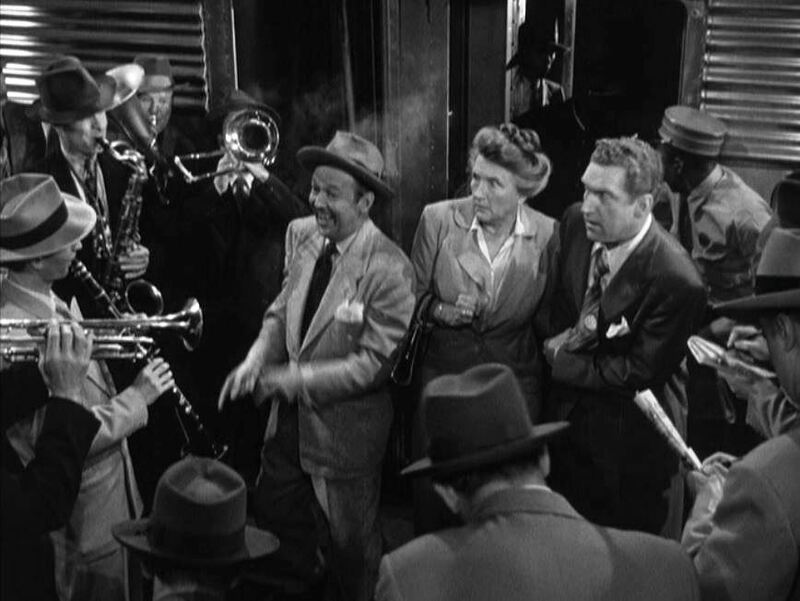 The Flyer pulls into New York (complete with high-level platforms); to their astonishment, Malone and Hattie are met with a full brass band. 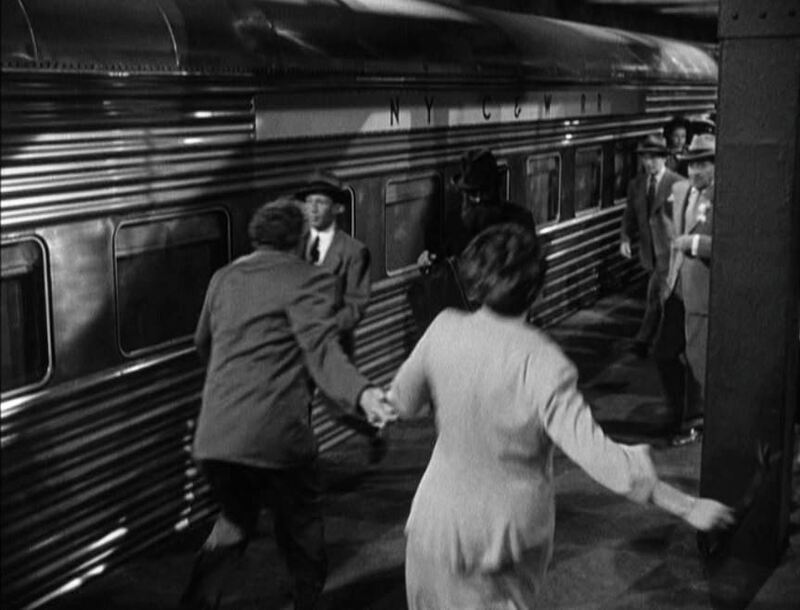 The chase is on…both inside the day coach and along the platform. 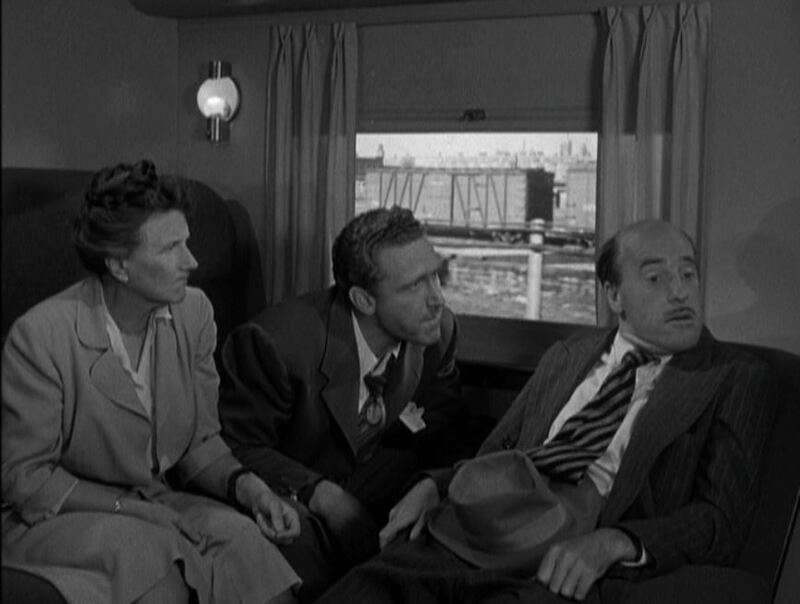 The studio plastered, “N Y C & W R” on the letterboard of the streamlined car (the fictitious New York, Chicago & Western Railroad, perhaps?). 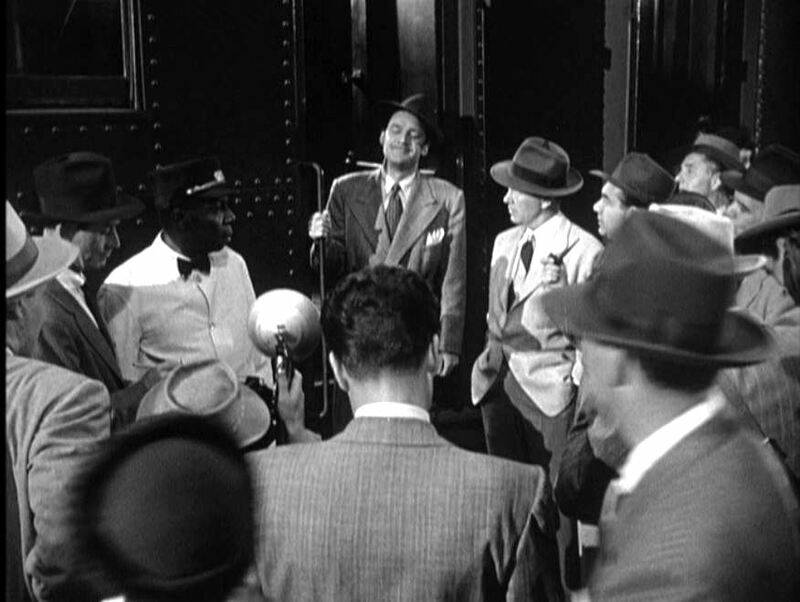 Trackside, the handcuffed Hattie/Malone combo deliver a haymaker on the bad guy; Up inside the station, Malone puts the finger on the guy who done it (The mug in the sailor suit). 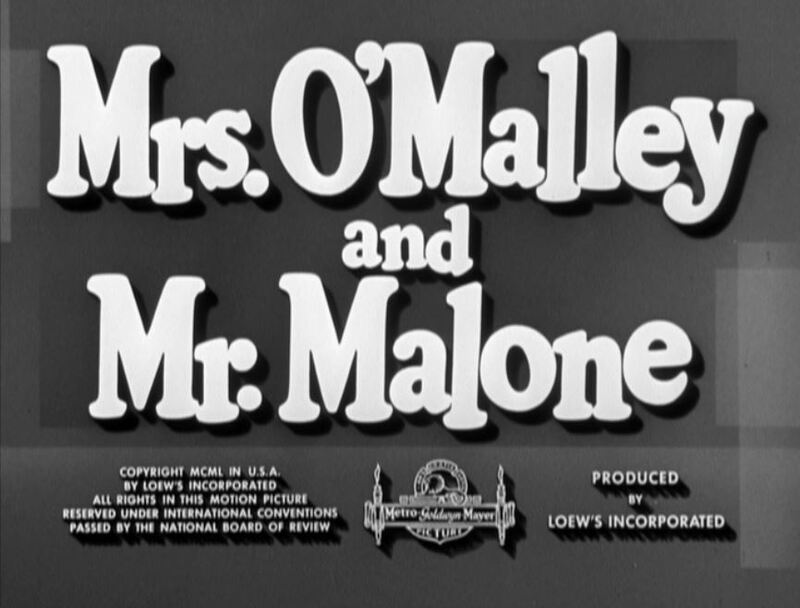 I think MGM was trying to gin up a little Ma and Pa Kettle movie magic with Mrs O’Malley and Mr Malone. 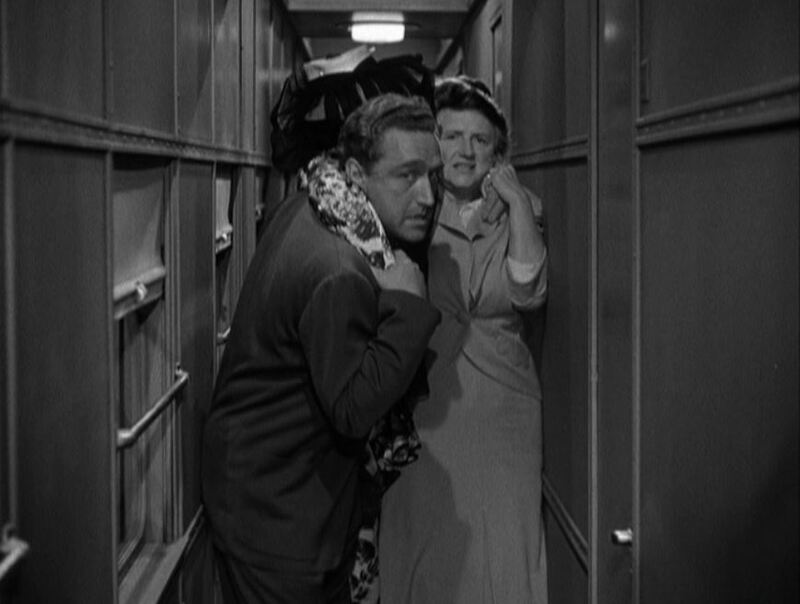 Whereas the Kettle series of 10 films – coincidentally starring Marjorie Main – were popular, M.O.& M.M. fell flat and wasn’t repeated. 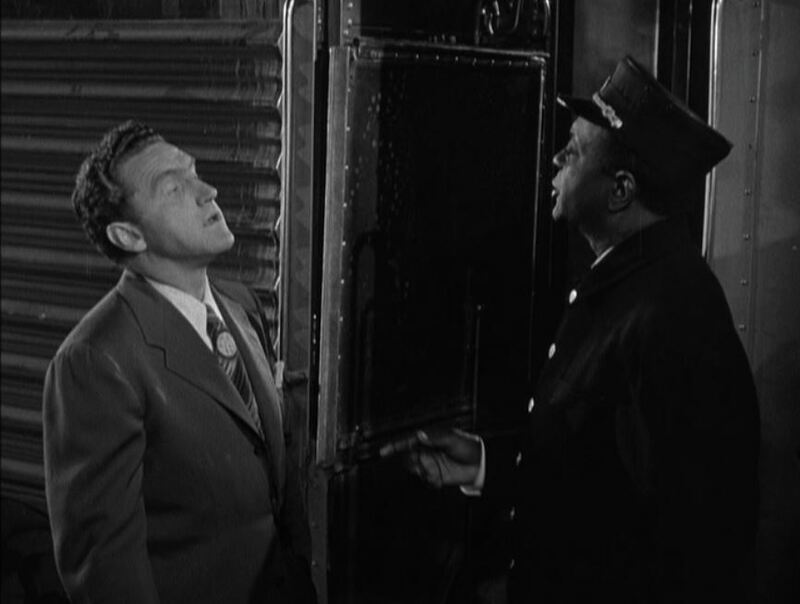 This is another B-picture train movie filmed at night almost entirely on a set, so the actual train quotient is pretty low. 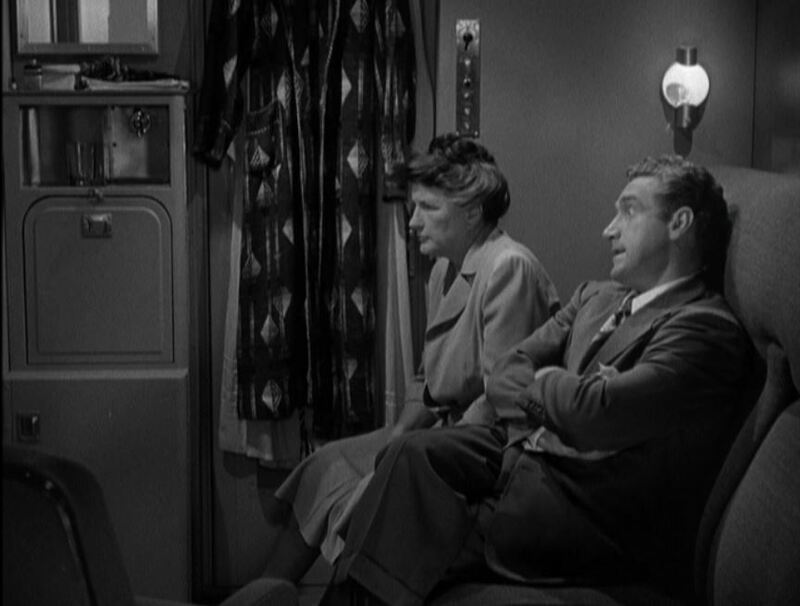 For my money, the best B picture of this genre is still the 1952 version of Narrow Margin. 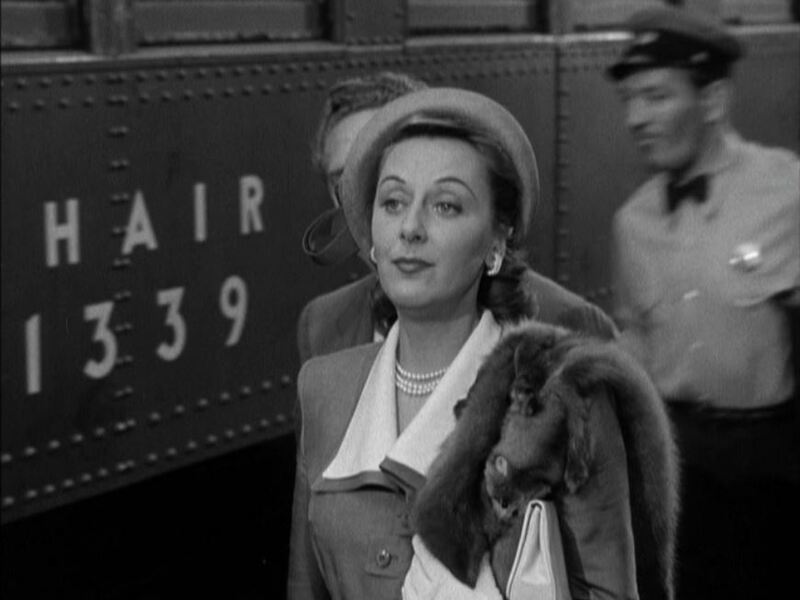 This entry was posted in Uncategorized and tagged Ann Dvorak, Atchison Topeka and Santa Fe Railroad, Atlantic Coast Line, Chicago, Dorothy Malone, James Whitmore, LaSalle Street Station, Ma and Pa Kettle, Marjorie Main, Metro-Goldwyn-Mayer, Montana, Mrs. O'Malley and Mr. Malone, New York, Southern Railway, The Chief, The Narrow Margin, Union Pacific Railroad, Western Union telegram. Bookmark the permalink.